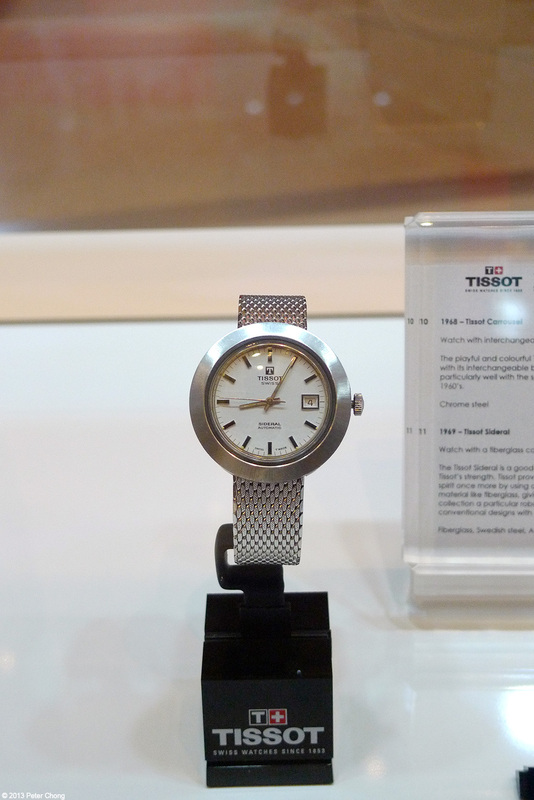 Tissot, a Swatch Group company, has a long and illustrious history, which many watch afficianados forget or do not know. 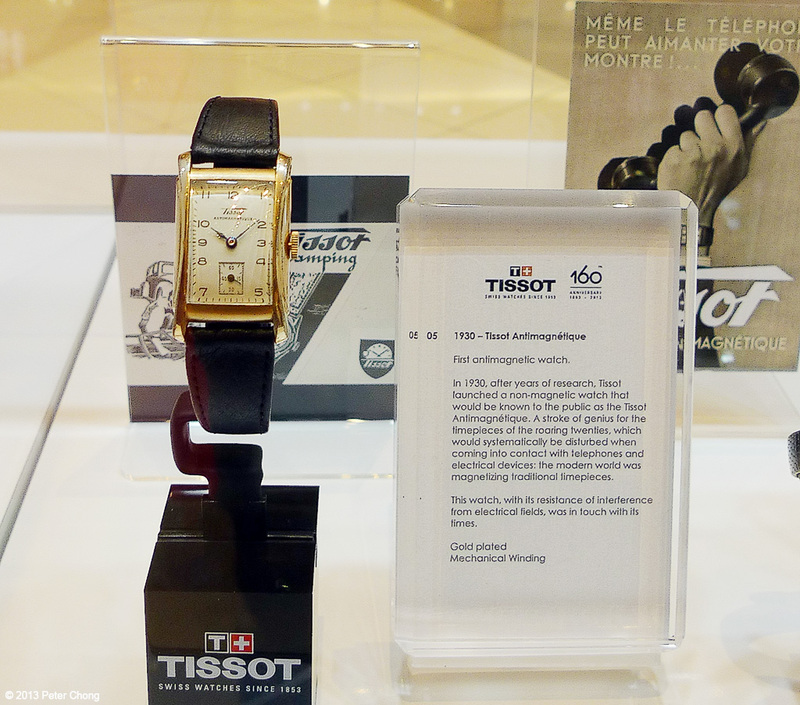 On occassion of the opening of the new Tissot Boutique in Suntec City, Tissot brought in a mini exhibition with many iconic and interesting pieces from their museum. A very interesting art deco piece, museum piece on the right in the 1920s, so now we know where Franck Mueller drew inspiration for his Long Island with exploding numerals come from. And on the left, the reissue watch now available. 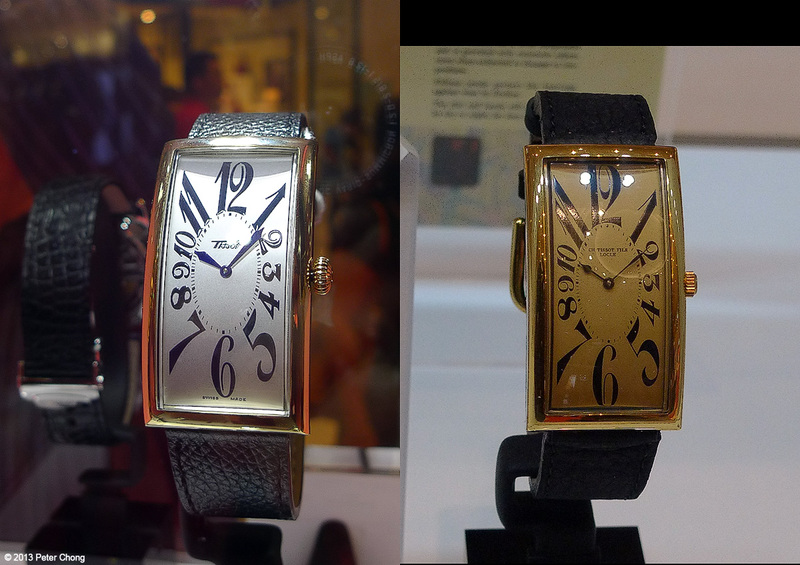 Antimagnetic watches were introduced by many watch companies. Patek Philippe with their Amagnetic in the 1960s, earlier the Rolex had Millgauss in the late 1950s, IWC with their Ingenieur in the 1940s. 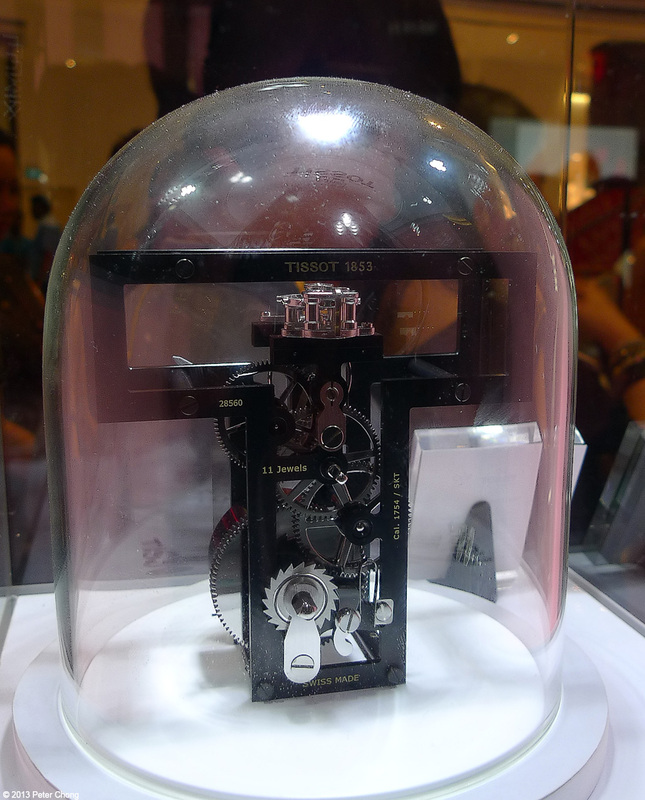 But Tissot introduced their Antimagnetic watch in 1930. The first plastic watch, preceeding Swatch by 12 years with the Idea 2001 in 1971. And ingenius use of new material, a fiber glass dial in a silver case called the Tissot Sideral. And we round up the collection with an interesting table clock...with a stylised Tissot T logo...also now available for purchase. 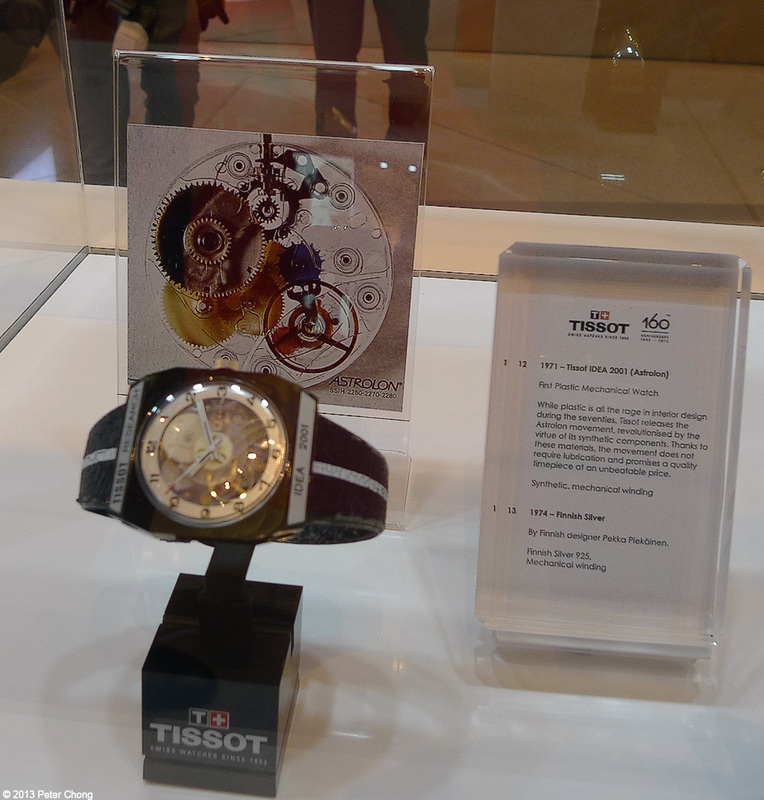 Contact the Tissot Boutique at Suntec City.